Home Lifestyle Everything is coming up coral in 2019! 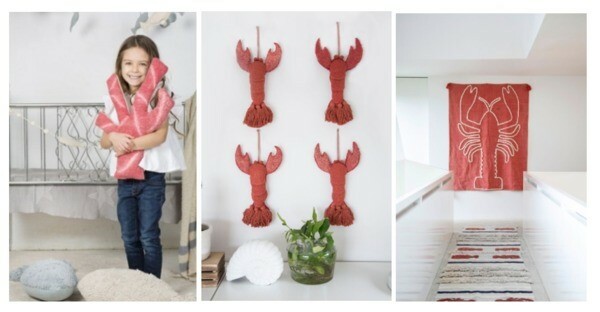 Get “in-the-know” with eclectic, gorgeous finds from Isabelle Grace! For handcrafted jewelry that’s sustainably made in the USA, you can trust Isabelle Grace to deliver on lasting quality, gorgeous designs and beauty that never goes out of style. Isabelle Grace’s is a favorite of celebrities like Katherine Heigl, Lindsay Price, Tori Spelling, Courtney Mazza Lopez, Allison Sweeney and Kimberly Williams-Paisley. Check out this beautiful coral set below! These stunning Swarovski chatons are hand-set into silver or gold finished bangle and stud earrings. Stack multiple together or layer with other bracelets to add a little extra sparkle to your look. Everything is coming up coral in 2019! Lorena Canals is over the moon (and under the sea) for coral with the all new Lobster Collection. Take a peek at the brand new collection below! For over 15 years, Lorena Canals has been designing globally eclectic rugs and accessories that have revolutionized the home décor market. The collection is machine washable, hypo-allergenic and made with non-toxic chemicals, natural dyes and without environmental hazards. The result is beautifully designed, eco-friendly and exceptionally-made rugs and home accessories. Celebs fans include Penelope Cruz, Jessica Simpson, Michael Phelps, and Kim Kardashian.